As I began my Lilead Fellowship in 2015, collaborating with two dozen powerful library supervisors from across the country, I quickly discovered I wasn’t a library supervisor in the traditional sense. My Lilead colleagues held that official position in their respective districts. I, on the other hand, was a curriculum coordinator, responsible for professional development in my suburban California school district. Here in northern California’s San Ramon Valley Unified School District, 12 credentialed teacher librarians and two dozen classified library media coordinators serve more than 32,000 students. Right from the get-go, I knew I had a lot to learn, and I did. The issues shared by my Lilead colleagues—positive exposure to current library problems and practices, issues and ideas, and structures and solutions—allowed me to craft a transformative vision for our school libraries. The more I learned, the more I became focused on spotlighting our library program. Our district librarians were already doing much to support, promote, and enrich district initiatives. But they were doing it quietly, practically in the shadows. My priority became getting them noticed. Together, we built a presentation that we shared with administrators and the school board, highlighting librarians’ expertise as instructional leaders. The librarians began offering professional development sessions on 21st-century skills, information literacy, and digital citizenship. They initiated book clubs—Kate Roberts and Maggie Beatty Roberts’s DIY Literacy: Teaching Tools for Differentiation, Rigor and Independence [Heinemann, 2016] is a current favorite—and facilitated teacher cohorts to research and design curriculum for new programs. Kerri Pike, our lead high school librarian, used her position on a budget oversight committee to strongly advocate for increased staffing, funding, and resources. She also published Toilet Paper, a monthly library newsletter posted in faculty restrooms. Librarians further increased their visibility by collaborating on a more formal quarterly newsletter distributed district-wide, explicitly connecting their work to district initiatives. And they made a conscious effort to build a strong presence on social media, energizing their Facebook pages, blogs, and Twitter posts. These past two years we’ve worked hard to turn “perception = reality” thinking on its head. Our new normal is “reality = perception.” We were committed to shifting the impression of the library as a quiet place to study and check out books from a shushing librarian to that of a vibrant learning hub headed by a tech-savvy, future-ready literacy leader. By getting out there—leading workshops, supporting initiatives, publishing newsletters and articles—our librarians gained recognition for the role they play in every aspect of the district’s work. Librarians are critical to the success of district initiatives, and implementation of those initiatives is critical to the success of all students.Their increased visibility has transformed the perception of who a librarian is and what a librarian does. These days, they are everywhere, spreading the power of literacy as a tool for equity and social justice. Our librarians know that they are the first line of defense against ignorance and injustice; they promote spaces where all students can develop their passions, access credible resources, be exposed to current social issues, and wrestle with multiple perspectives. These library leaders believe that it is a moral imperative to prepare students to think critically, research ethically, and act with empathy and compassion. This is strategic positive exposure. We realized that the old adage, you don’t know what you don’t know, applied to our situation. Until the librarians began garnering repeated positive exposure, they were nearly invisible. Last spring, two of our elementary librarians were nominated as classified employee of the year at their respective sites, the first time in recent memory that someone from the library world has been so recognized. In fact, one was further honored as the district and the county classified employee of the year, another event that had never happened before. While we can’t say for sure all of our work toward positive exposure led to the recognition, we can’t help but believe it played a role. The work continues. This year we have a new superintendent who comes from a district that replaced librarians with technicians. He hadn’t been privy to the work that our team of thought leaders had been spearheading, and the ways they had transformed teaching and learning. He didn’t know the roles they’d played in building maker spaces, teaching coding classes, or supporting a revolutionary new AP seminar and research program. So they showed him. Teacher librarians met with him to share ideas and artifacts highlighting the transformative work they lead. They invited him to come watch them in action. He listened, paid attention, and asked the right questions. We think he got the picture. Positive exposure matters. 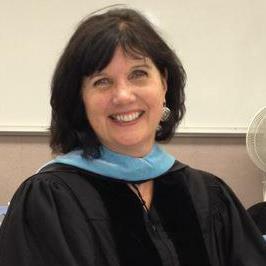 Lilead Fellow Kathleen M. Moore is the curriculum coordinator in the San Ramon Valley Unified School District in northern California and the City of San Ramon’s Poet Laureate.